Rice is very widely used in the cuisine of different Nations. Where some of it serves entrees, someone like desserts out of it, and the peoples of the Orient, rice is considered a staple food. To do this, they are simply boiled and eaten. 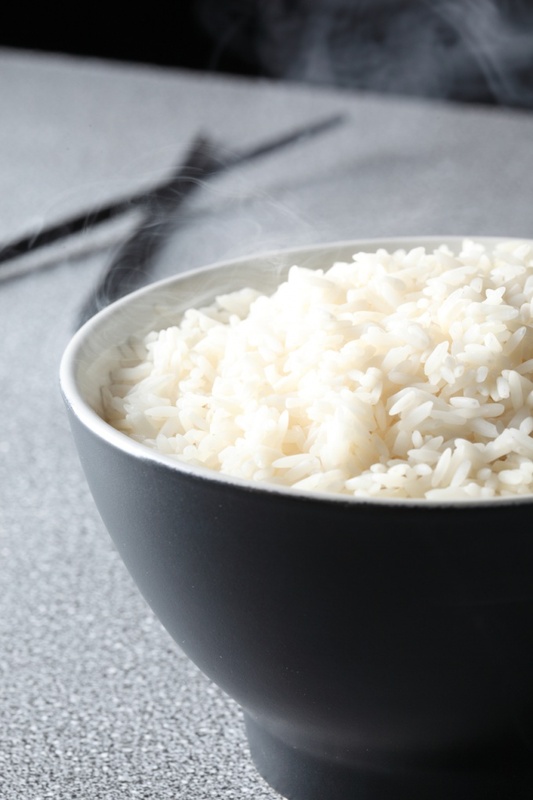 There are many varieties of rice and ways of cooking, resulting boiled rice is at the output of the most diverse consistency. Rice, cooked on the classic recipe, can be eaten as a separate dish and as an ingredient in complex recipes. Thoroughly rinse the rice until until the water after it will not remain transparent. Turbid suspended matter in the water means that the rice contains a large amount of starch crumbs, giving when cooking sticky mucus. Boil water, add salt, pour the rice, cover the pan with a lid. Open the lid or disturb the contents of the pan is not necessary. Start the timer, keep the rice for 5 minutes over high heat, then reduce the heat to medium and cook 2 minutes. For the final 2 minutes turn heat down to low. Turn off the heat but keep covered for another 10 minutes. After this time, you'll find in the pan, ready crisp rice, grain to grain. Another advantage of this method lies in the fact that the rice during cooking does not stick, and that means that the pan is clean.